Grain Science is available for $9.99. 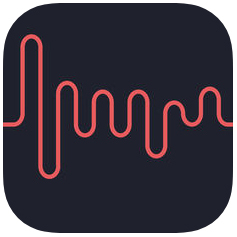 Curtis for the iPad – The first granular synthesizer for the iPhone comes to the iPad. Turns any recording into a totally unique synthesizer! Curtis uses an unusual hybrid of wavetable and granular synthesis to create tones and timbres quite apart from the standard FM or subtractive synthesis fare. 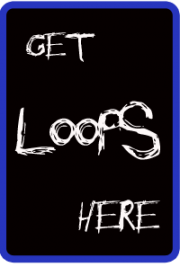 Add this app to your arsenal to create sounds you simply cannot squeeze out of any other synth, no matter how much you’ve twiddled its knobs. ✇ Curtis now comes preloaded with an exclusive sound set created by sound design pioneer Richard Devine! ✇ This release allows you to record audio directly with your iPad or add your own WAV or MP3 files via iTunes. No more in-app server setup; just drag-and-drop! ✇ New in version 2.0, a chromatic quantize mode, which rounds grain sizes to match the frequencies of standard equal-tempered tuning. In this mode, Curtis will sound in tune with your other MIDI instruments or soft-synths. Of course, the old geometric mode is still available for your dissonant pleasure. ✇ Version 2.1 brings a traditional keyboard along with new XY pads for pitch and position LFO control. Still, this is no ordinary synthesizer, and the keyboard will not always work as you might expect. The keyboard note pressed determines the size of the grains used, so the sound will indeed have the cycle length of the given note, however depending on the pitch and the content of the source recording at the current point, the resulting tonality may vary greatly.